Sweet offer for Starbucks fans! 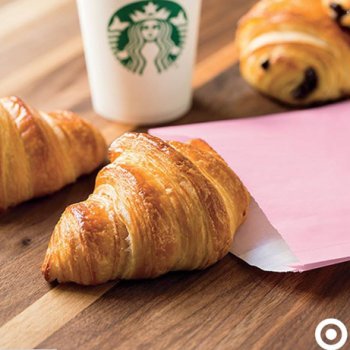 Through July 2, at participating Target Starbucks, you can get a FREE La Boulange pastry with any Starbucks handcrafted beverage purchase. Nothing beats a FREE item at Starbucks while shopping at Target! Since my coffee was already made and waiting by this time … I asked for their banana bread … I am not impressed and won’t be asking for their banana bread anywhere again. It had a strange metal taste – possibly the leavening? I’m also pretty disappointed with the manager there and won’t return until I forget this experience.